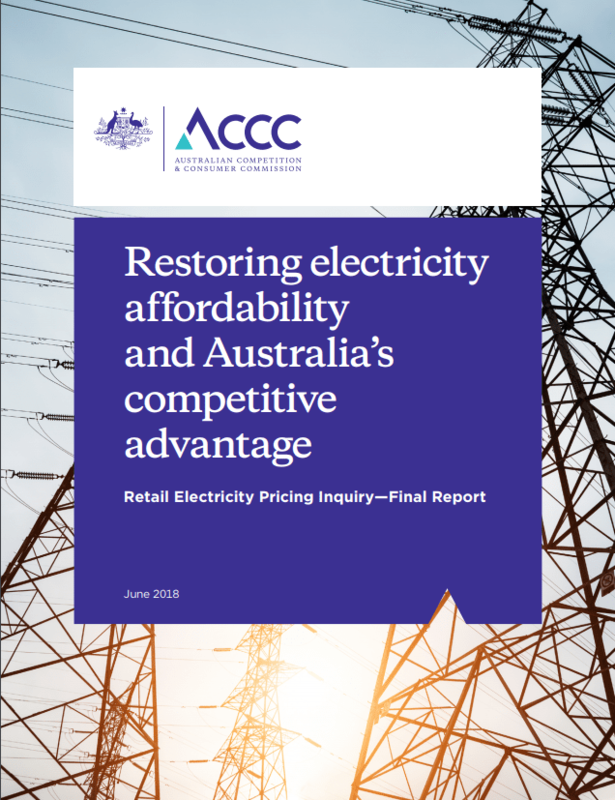 The Australian Competition and Consumer Commission (ACCC) has released its final report in relation to Retail Electricity Pricing; Restoring electricity affordability and Australia’s competitive advantage. The main thrust of the ACCC Report is how to reduce energy prices for Australian consumers. The ACCC has made 56 recommendations in the Report which are included in the Executive Summary. The business experience (Ch 18). increase speed of the customer transfer process. future derogations from the NECF should be limited to situations where there are jurisdiction specific needs that cannot be addressed by a NECF-wide rule change. rebidding rules that currently attract civil penalties of $1 million should also be increased to the new higher level penalties. Governments should make available well targeted assistance programs including energy efficiency audits to assist the businesses most adversely impacted by the transition to more cost network reflective tariffs. “The National Electricity Market is largely broken and needs to be reset. Previous approaches to policy, regulatory design and competition in this sector over at least the past decade have resulted in a serious electricity affordability problem for consumers and businesses. There are many reasons Australia has the electricity affordability issues we are now facing. Wholesale and retail markets are too concentrated. Regulation and poorly designed policy have added significant costs to electricity bills. Retailers’ marketing of discounts are inconsistent and confusing to consumers and have left many consumers on excessively high ‘standing’ offers. The ACCC estimates its recommendations, if adopted, will save the average household between 20 and 25 per cent on their electricity bill, or around $290-$415 per annum. It is clear that most households are paying far too much for electricity. In addition, some of the most vulnerable in our community are forced to struggle through freezing winters and scorching summers, with many others also having difficulty paying their bills. Further, Australia’s 2.2 million small to medium businesses could save an average of 24 per cent on their electricity bill, if the ACCC’s recommendations are adopted. Many small to medium businesses operate on very small margins, and cannot afford the increases to their costs that have occurred over past years. Commercial and industrial customers, the heaviest users, could see electricity costs decrease on average by 26 per cent. Commercial and industrial customers, like mining and manufacturing companies, have watched what has been a relative competitive advantage to them, affordable electricity, now threatening their viability. While important steps have been taken recently, restoring electricity affordability will require wide ranging and comprehensive action. We believe our changes can and will, if adopted, have a powerful and tangible impact on electricity affordability for all Australians; this will reduce economic inequality and enhance our national welfare. Three further points need to be made. First, our recommendations require some difficult decisions as sound economic reform usually does. 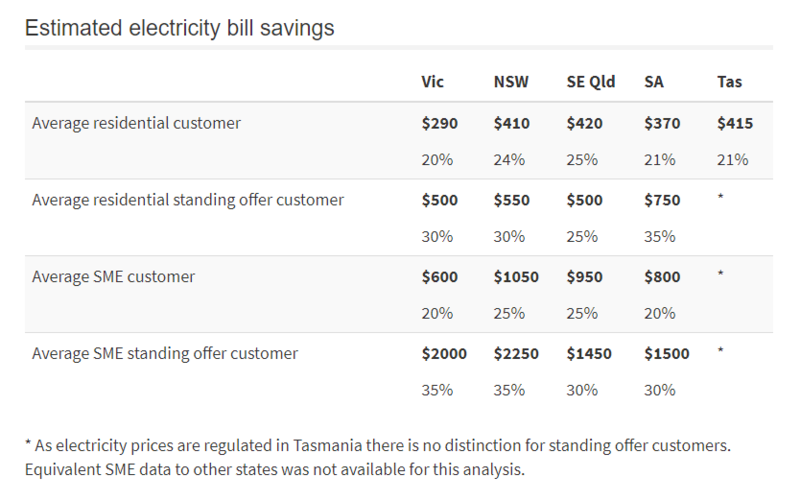 Second, despite poor decisions over at least the past decade creating the current electricity affordability problem, it now falls to current Commonwealth and state governments to make the difficult decisions to fix it. Third, we must move away from narrowly focussed debates; addressing affordability requires change across a broad front’ (Source: ACCC Release 124/18). Further information is available on the ACCC website at ACCC releases blueprint to reduce energy prices. We will be writing additional articles on the recommendations which examine the changes in more detail. As ever, please contact the team if you wish to discuss this article or ask any questions – click here.